Cartoonist Thi Bui's graphic novel The Best We Can Do has opened “important dialogue about identity and immigration," says UC Santa Barbara's Art and Architecture librarian Chizu Morihara. 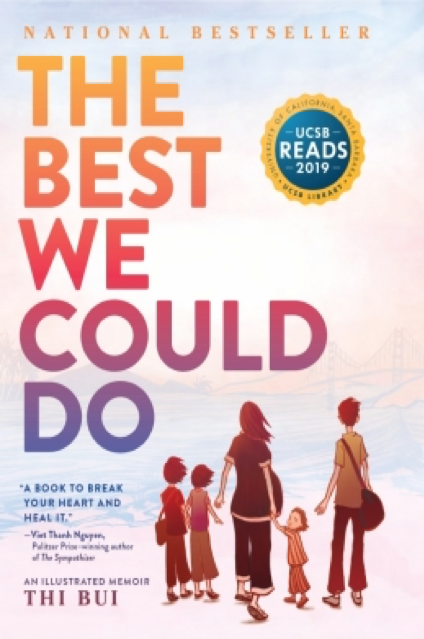 UCSB Reads 2019 Selection, "The Best We Could Do". 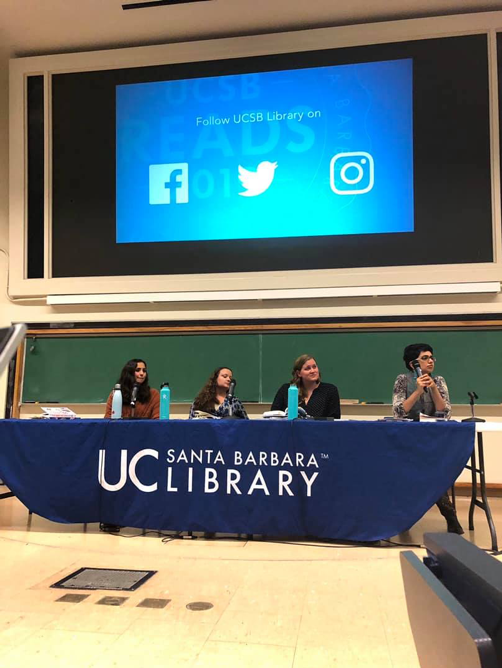 Morihara was speaking at a panel last month to preview to the exhibition "In Her Own Image,” which is linked to this year’s UCSB Reads selection. "The Best We Can Do" was chosen as the UCSB Reads 2019 selection and is being used in the curriculum of many classes across campus, from "Introduction to Literary Study" in the English department to "The Research University and The Transfer Student Experience" in the Education Department. 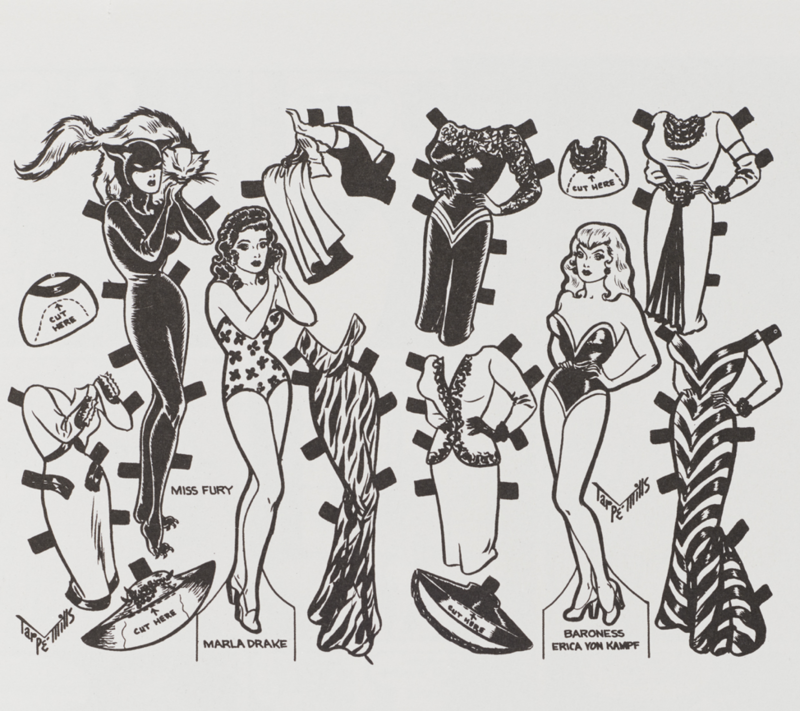 The exhibition "In Her Own Image," is now on in the Art and Architecture World Comics wing of the UC Santa Barbara Library, celebrating women in art, from the underground feminist movements in comics from the 1960s and 70s, to excerpts from modern graphic novels. The panel "Women in Comics" was held in conjunction with "The Best We Can Do" reading selection to highlight the book’s feminist implications as it gives its perspective on growing up in America as a Vietnamese immigrant. Panelists described how women have built their own underground movements through the use of comics. Led by History graduate student Addie Jensen and featuring Swati Rana, assistant professor in English, the speakers included other graduate students in History and English. "Comics engage in feminist debates and blur the line between fiction and reality," said Maite Urcaregui, a graduate student in English. She later said the difference between comics and print novels” form maps out memory and identity and allows the author to use “multiple mediums to express multiple messages in their work." "Women and Comics" panelists from left to right: Addie Jensen, Maite Urcaregui, Rachel Rhys, and Swati Rana. Addie Jensen presented her research on "The Grunt Free Press," a comic series based during the Vietnam War which was created in response to the growing feminist movement in America in the 1970s. The series poked fun at soldiers' opinions of the new feminist woman, and "The Grunt Free Press" was a response to the growing fear of infantrymen being rejected by their wives and girlfriends when they came home from war. Men were worried that they no longer had a purpose to "serve the girl next door," giving them a sense of inferiority when it came to women, Jensen said. Panelist Rachel Rhys, a graduate student in history, stressed the importance of form and storytelling in her presentation. "Tools infuse underground comics to life," Rhys said. "Form and words work together and not against each other," Rhys said. She added that the context of the publication matters as much as what the publication's about, from form to gender to readership to backlash. "Academic info is challenging to access, nonetheless dissect, so comics are a tool for people to understand important themes," she said. When an English student in the audience asked if comics were a unit of time, Rhys had this to say: "Without visuals and usage of the medium, the message wouldn't get across… Comics are a metaphor for memory, and you can go back to the same moment and it can be examined in different ways." Autumn Murphy is a junior at UC Santa Barbara, majoring in Communication. UCSB Art and Architecture Library event “In Her Own Image” is now on, continuing through June, 2019..